Recently we have shown how molecular logic circuits with many components arranged in multiple layers can be built using DNA strand displacement reactions. The potential applications of this and similar technologies inspire the study of the computation time of multilayered molecular circuits. 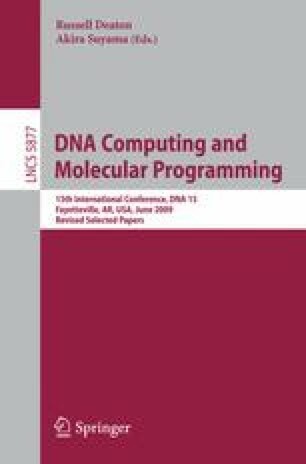 Using mass action kinetics to model DNA strand displacement-based circuits, we discuss how computation time scales with the number of layers. We show that depending on circuit architecture, the time-complexity does not necessarily scale linearly with the depth as is assumed in the usual study of circuit complexity. We compare circuits with catalytic and non-catalytic components, showing that catalysis fundamentally alters asymptotic time-complexity. Our results rely on simple asymptotic arguments that should be applicable to a wide class of chemical circuits. These results may help to improve circuit performance and may be useful for the construction of faster, larger and more reliable molecular circuitry.